There are lots of skin care products available today. Some claim to be magical cures that can transform the way you look from one day to the next. It is important to know that this is not possible. It is also important to know that there are great vitamin skin care products that can enhance the way you look and even make your skin appear younger. If this is something you want to achieve, then we have some of the best vitamins you should consider adding to your beauty routine. Vitamin A: This is the vitamin that is vital for anti aging. Many creams and beauty products contain this vitamin because it provides antioxidants that can slow down the progress of aging. For people looking for anti aging skin care products, look for those that contain vitamin A.
Vitamin B3: This vitamin helps keep redness out of your skin. For people who have this tendency, this can be the vitamin to turn to. It also keeps pollutants and irritants out of the body so that your pores do not become clogged before you apply makeup. For people who have rosacea, look for this vitamin in the creams you select. Vitamin C: Vitamin C helps brighten your skin and complexion. This is a great option for people who have naturally sallow skin and want to give it a bit more glow. It can also reduce wrinkles, prevent sagging, and provide elasticity to your skin. For people who are aging, you want a cream that has vitamin C in it, not only because it provides brightening to the skin, but also because it keeps the skin supple and working as it should. Vitamin E: Vitamin E is an antioxidant that keeps the skin supple. It also strengthens the skin’s natural barriers and keeps moisture in, preventing your skin from getting too dry. It is important to know that most creams to combat stretch marks have a lot of vitamin E. This is because it helps with the skin’s natural elasticity. he antioxidants also protect the skin against sun damage, so if you are worried about this, chose a face cream that has this ingredient. 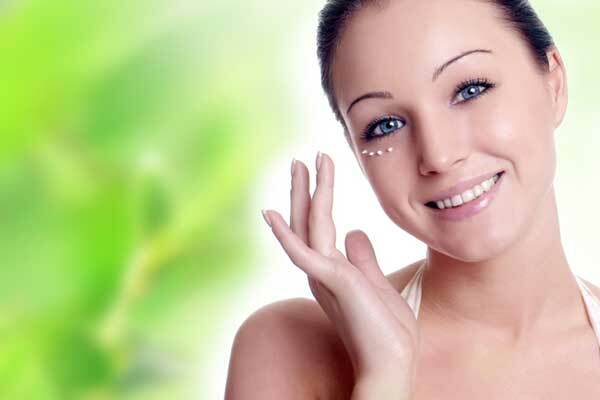 Vitamin B: Vitamin B also protects from sun damage and can help oily and sensitive skin with blemishes and the like. It can also be good for rosacea and other skin conditions that sensitive skins can suffer from. By taking the time to learn about the different vitamins available in skin care products, you can find the option that works best for you. With good vitamin skin care products, you can expect to start seeing changes in the way your skin looks. You might also feel better because of the added vitamins. Take the time to choose a company like Context Skin to help you find the right skin care products for your kind of skin and for the results you want to have. With a great product your skin will be healthier and you will reduce any issues you may be having.